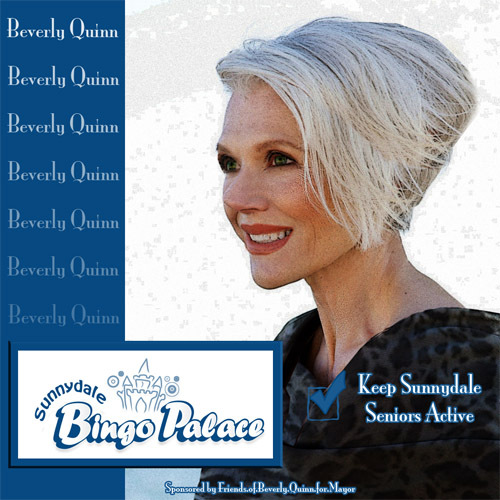 Cordelia Chase's maternal grandmother, Beverly Quinn, is an activist for Sunnydale's seniors. She is fighting to keep the Bingo Palace open despite Mayor Wilkins' efforts to close it. The locals are trying to convince Bev to run for mayor in the next election. A photo/facial manipulation of a random silver-haired woman.